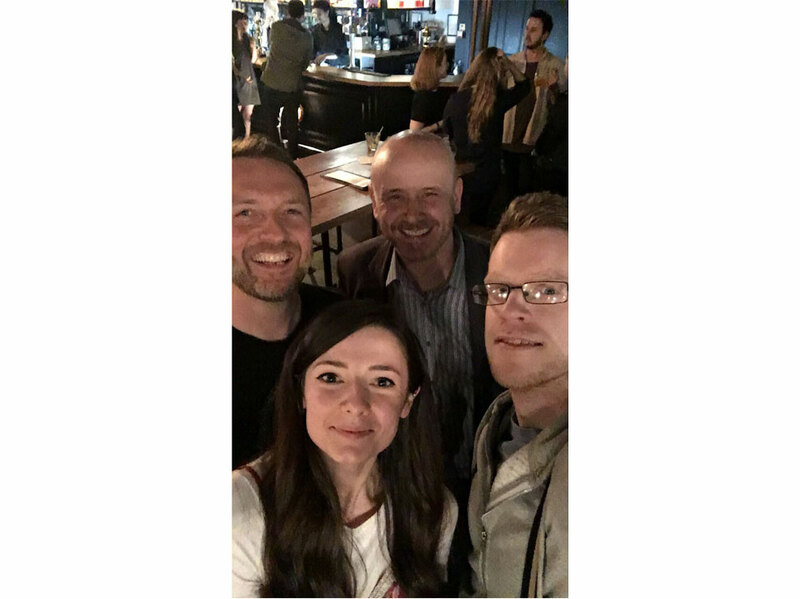 After managing to miss quite a few Glug Manchester events, we finally went to one! 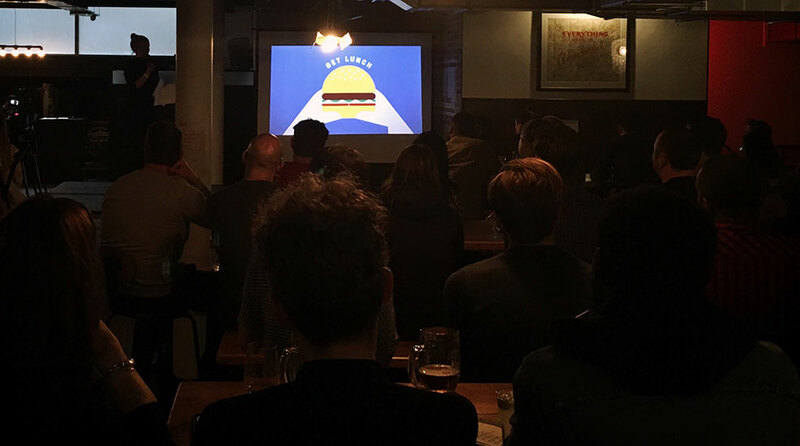 If you’ve not heard of Glug, they host design-related events around the world – coining the phrase ‘notworking’ – their events include a number of super interesting people presenting talks, followed by pizza, drinks and the chance to chat to like-minded people in a relaxed environment. Our first speaker was Callum, a UX Designer from BBC Children’s. He spoke about how they design for children at the BBC, including interesting insights into how they conduct user testing for such a young audience. Their user testing involves making the children comfortable and relaxed, in big rooms full of beanbags and comfy sofas! This allows the children to behave more like they might at home, using devices comfortably, and interacting with games/websites as they usually would – they don’t want to make the kids feel like they’re being tested! Callum also spoke about co-creation between themselves and their users – children! He showed us some brilliant examples of characters, vehicles and houses that children had drawn, and how the talented team at the BBC re-created them to be used in games. We absolutely loved the examples he showed, it was great to see the imaginative and slightly whacky ideas that the children came up with! Also, how amazing would it be for those children, to see their amazing ideas come to life in a game? One really important take-away from Callum’s talk was that “we are not our users”. This is very true for a lot of projects we work on as designers! Jane is an independent Graphic Designer and Illustrator, working directly with clients and design studios on a freelance/consultancy level. She spoke honestly about her personal experiences, and what she’s learned in the first 12 months of working for herself. We absolutely love a good illustration here at Carbon, and Jane’s talk was beautifully presented, with each slide paired alongside a fantastic illustration! Despite us being an agency, and not freelancers, there were a lot of points that we could relate with. We’ve all experienced this at some point in our career, it’s so important to escape your desk or the office for a bit. It allows you to be distracted for a while, and come back to your work with a fresh pair of eyes, and a clearer mind. It’s easy to become impatient with yourself when you’re trying to improve your skills. But it’s definitely important to remind yourself that “growth is slow”, no one learns complex skills overnight! Jane also spoke about how perfection often takes over a woman’s life, because the idea of the perfect woman constantly changes in terms of beauty and our bodies. The idea of ‘perfect’ is something that is completely free from faults or defects, but everything contains faults and defects – in our work lives this could be due to budgets, schedules, skills, clients. In other words, there is no such thing as perfect. Everything is susceptible to different outside influences, Jane’s advice was to “focus on passion, passion is important, passion isn’t afraid of failure”. As designers, it’s fun to explore ideas and skills that you might not get to use at work. One of Jane’s personal projects was Women in Print – a celebration of women in Manchester, or women who had a link to Manchester – by local women. Alex is one of the founders of Noir Agency, who help to build brands through emotive, digital experiences. He spoke about the benefits and opportunities of future technology, including virtual reality, augmented reality and machine learning. We love learning about technology, and so we loved listening to Alex’s talk and it sparked a lot of discussion between us afterwards (whist we ate our pizza)! Alex spoke about how chatbots have become very popular for companies to use, such as TMY.GRL Chatbot and Dominos Dom the pizza bot. These kind of bots are branded, they’re sort of sub-brands of the brand itself, they have a tone of voice and it’s important that it matches the brand. They have a reason for being there – usually to help the user, and increase sales and productivity. However, it can be difficult to have a bot that uses AI. An example of this is Microsoft Tay, which was an experiment ran by Microsoft – Tay had a Twitter account, and interacted with people and learned from them through conversational understanding. It certainly didn’t carry across Microsoft’s tone of voice, as it learned misogynistic, racist and insulting comments! Alex also spoke about archetypes, and that if a chatbot’s purpose is to offer advice and guidance, it might be beneficial for a ‘caregiver’ archetype brand to use this. By giving the chatbot characteristics, it humanises it, and makes it easier for the user to interact with – which would be great for a brand that need to offer advice and guidance to their users! As you can see, they completely lack personality, thought and creativity. I think we’re safe in our jobs for now! However, we should embrace technology, and allow our jobs to change as technology advances. 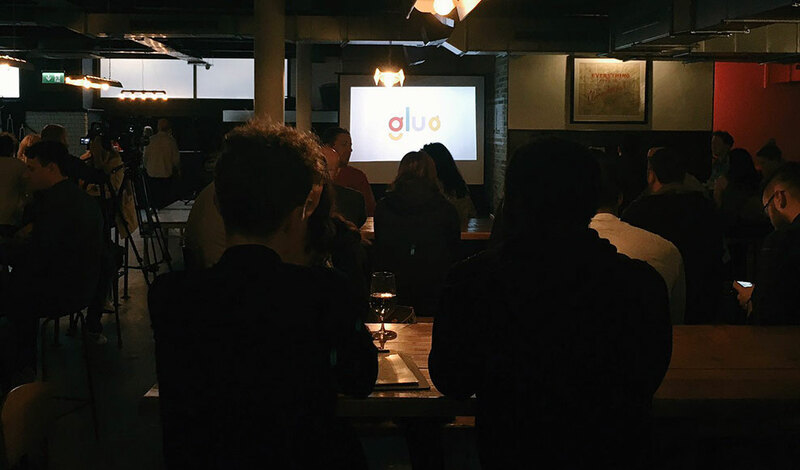 We had a great time at the Glug Manchester event, and can’t wait for the next one!